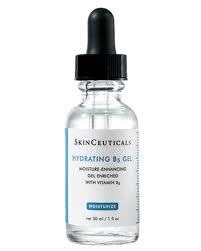 WE HEART: SkinCeuticals Hydrating B5 Gel – I Heart Hair, Inc.
With just a little drop of this great gel you can restore your natural hydration and repair damaged skin. It leaves the skin firm, smooth, and supple. Use it in place of moisturizer or as a primer for your face cream. This is a great investment product for those sensitive skin types. Retails for $69.00.